This is such a beautiful vintage 90s Tropical Beach Dress! 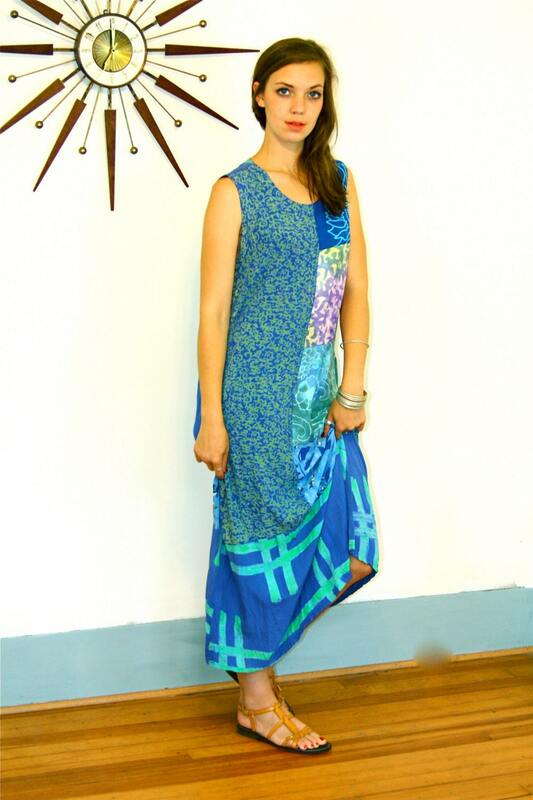 The rayon fabric of this dress is so soft and flowy! 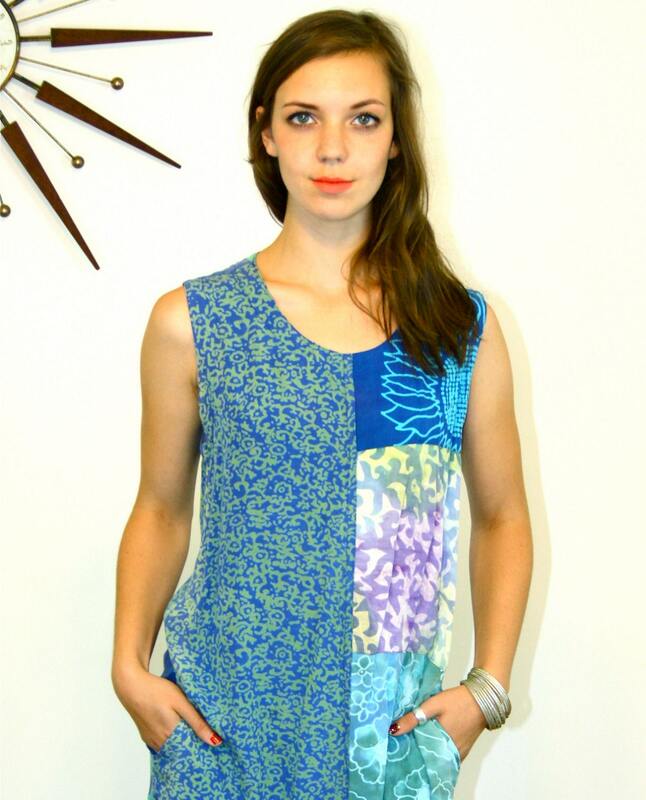 It has aquas and blues in an abstract watercolor pattern! 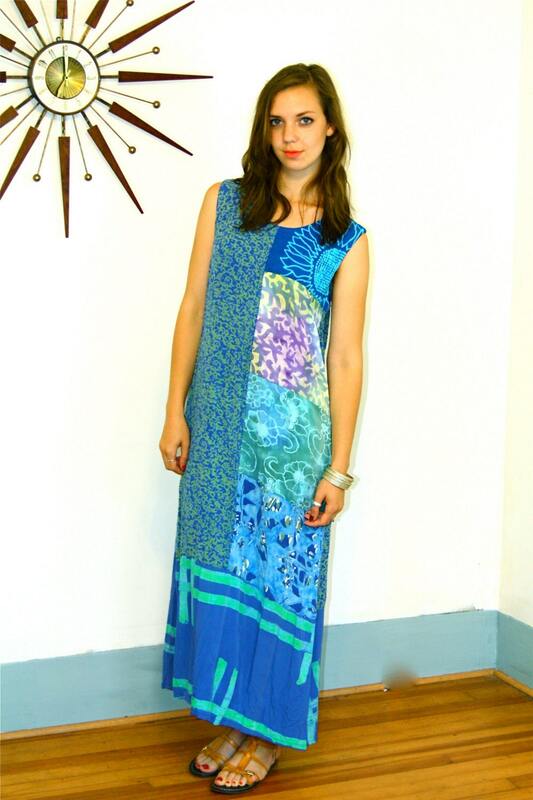 This lovely straight column dress has a cool patchwork like print and a little key hole in the back! 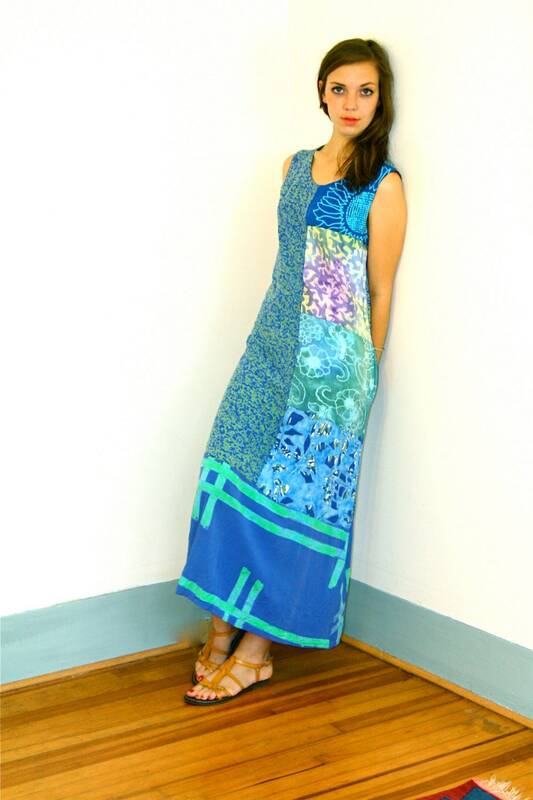 This colorful sack dress has pockets!! 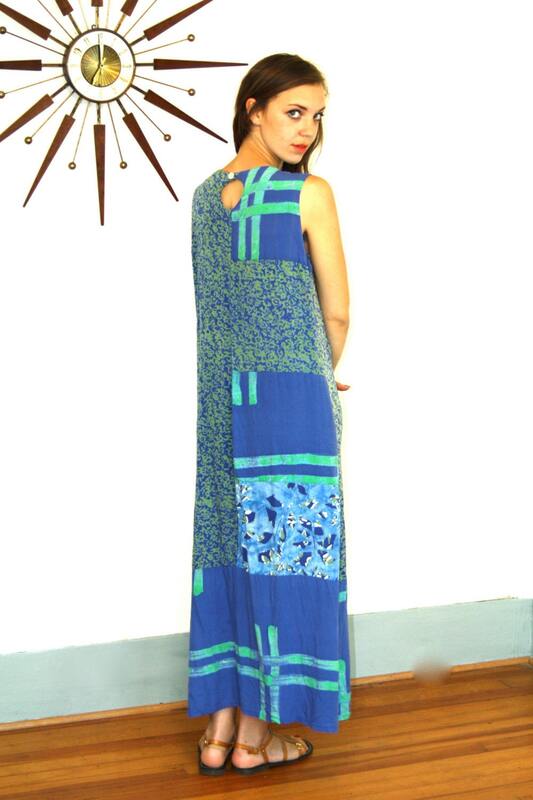 I can just imagine traipsing to the beach in this, with a big floppy hat and little leather sandals! So chic!